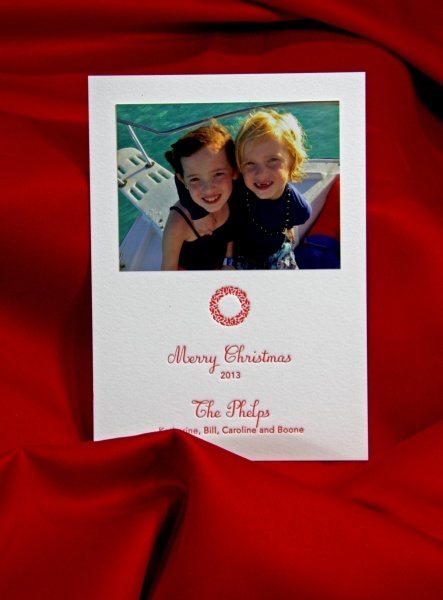 Take a look at these custom letterpress Christmas cards that we made for the Phelps’. These cards were made using a digitally printed photograph and then we used a letterpress to create the wreath and text. Theres really nothing better than family photos and old fashioned letterpress to really bring out the holiday cheer. Call us to see why we are the #1 Houston letterpress and engraved wedding invitation printer. 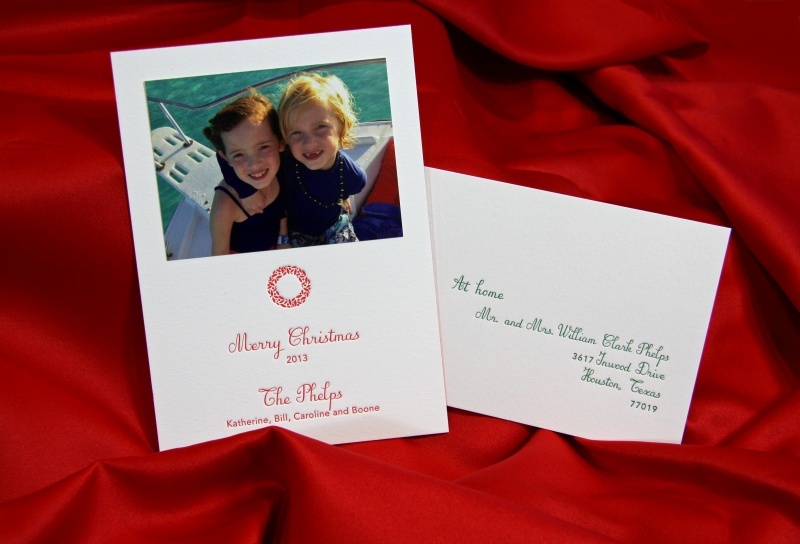 Elation Press is a letterpress and engraving printer proudly serving Houston, Dallas, San Antonio and Austin.